Ireland is facilitating a “crime” in permitting Shannon Airport to be used for military purposes, the Dail has heard. Deputy Mick Wallace said “Fianna Fail and the former Progress Democrats, Fianna Fáil and the Green Party, Fine Gael and the Labour Party and, now, Fine Gael and the Independent Alliance have facilitated the US using Shannon as a military base to create unbelievable destruction and hardship. He also referenced a statement in which, he claimed, former Minister for Justice Alan Shatter stated that “the Garda had no role in inspecting military aircraft because they have sovereign immunity. “We need a rethink on this issue,” he said. The TD also earlier questioned the proposed participation of Irish Defence Force members in a German-led EU battle group. 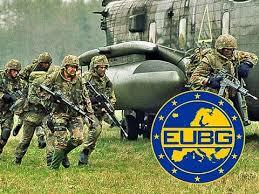 “Again,” he said, “we are facing the prospect of Irish troops taking part in an EU battle group. “It has been reported that the Army Rangers will be taking part in their first overseas deployment since the peacekeeping mission in Chad in 2008,” he added.